A fitness enthusiast, certified personal trainer and a financial accounting and business graduate from a notable university in the United Kingdom, Mohannad dedicated both his personal and professional life to the health and fitness industry. 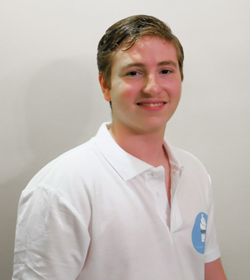 He began training at the young age of 17 and has been helping others increase their life expectancy ever since! 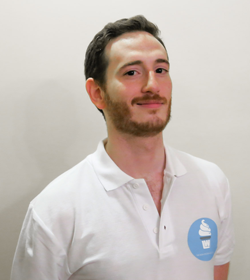 A Nottingham university medical school graduate with a business background and a special interest in nutrition, Mohammed utilised a scientific evidence-based approach to optimise the ingredients and development process of LightWhey ice cream. He ensured that only the healthiest ingredients science has to offer were used in production. Ahmed is the youngest member of both, the LightWhey team, and the Hourani brothers. Despite this, he quickly became involved in the research and development of LightWhey massively contributing to the optimization process of the recipe and sourcing state of the art ingredients from all over the world. Having proven his entrepreneurial skills, he is now pursuing a competitive undergraduate degree while simultaneously building the LightWhey empire. Most nutritionists and fitness coaches would agree that 70% of results achieved by an athlete are diet related. However, the food industry was never created with healthy individuals in mind. Protein content is almost always sacrificed for sugar and fat. Companies realised that lowering protein content is a good way for manufacturers to keep calories low while maintaining high levels of fat and sugar and therefore better taste. Even when "diet" snacks emerged, we noticed that products low in fat were almost always high in sugar while “low carbohydrate” products were high in fat. When we rarely did find nutritionally balanced products taste was never as good as the label promised. We arrived at the conclusion that flavoursome healthy snacking was something of a myth. Call us blindly optimistic but we decided to put an end to this phenomenon. Our mission became to produce a unique, myth-busting product with neither compromise to taste nor healthy benefit. The answer was right in front of us; everybody loves ice cream. This was the moment when the LightWhey brand was born but also the beginning of the most difficult journey we had ever taken. We spoke with various top figures in the ice cream industry but were met with criticism. Their unanimous conclusion was that an ice cream with this much protein is impossible to make. We endured months of futile meetings and consultations when, finally, we thought enough was enough; we were going to pull this off on our own. We bought our first mini ice cream maker and spent months learning about ice cream science. We ran mini trials using ingredients from all over the world for months on end. One day, voila! Our ice cream maker spewed out a batch that everyone loved. Success! The recipe was ready for early trials at a professional ice cream factory. Following over a year of meticulous research and failed factory trials (one of our failed trials produced premium cheese instead of ice cream!) LightWhey was finally a reality. 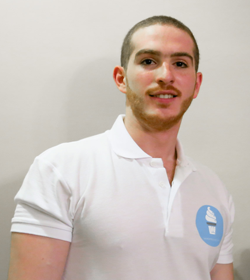 We had created the first high protein ice cream to be produced in the Middle East. Finally! An innovative, savoury product dedicated to the people of the health and fitness world, with each delicious tub containing, on average, 22.5 grams of protein, 16 grams of carbohydrates, 7.5 grams of fat and ZERO sugar. To learn more about the LightWhey Ice cream and the science behind it click here.